Museum visits often form the backbone of a family vacation. 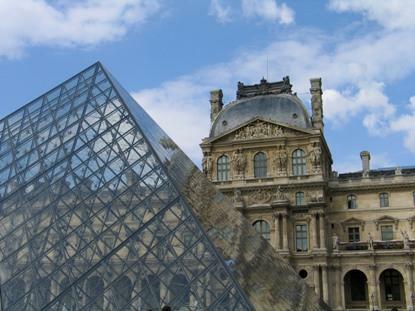 Luckily, France offers a tantalizing array of museums for the entire family to enjoy. Many of the museums that can be added to the France travel itinerary include interactive exhibits geared specifically toward children. These allow them to become actively engaged in learning while still having fun. Therefore, families taking a trip to France should certainly give serious consideration to visiting one of the many interactive museums available. La Cite des Sciences is a modern marvel in interactive museums. It offers children of all ages the opportunity to interact with science and to enjoy the educational process. Situated in the capital city of Paris along the Ourcq Canal, La Cite des Sciences is home to a plethora of activities and exhibits for the family to enjoy. Enclosed in the expansive 55-hectare (136 acres) green space of La Cite des Sciences, children can enjoy one of the 2 ½ hour tours through the exhibit. Each trip will take them through various fundamentals of science. For example, younger children are given the opportunity to discover technologies, such as the television. They also have the opportunity to "build" a house with bricks and cranes. Older children are encouraged to perform experiments in order to broaden their scientific knowledge. Despite the educational experience, the engaging environment of La Cite des Sciences makes even learning fun for children. Due to the size of the museum park and the range of activities, families should plan ahead to make sure they get the most out of the experience. For many who are planning a France travel vacation, the art and creativity of the country is a key draw. While the modern art collection of the Pompidou center in Paris may not seem like the ideal place to take children, the opposite is true. First, the weird and wonderfully designed building is sure to draw the attention of the children. Secondly, there are a number of special workshops in which families of all ages can enjoy. Here, the family can participate in hands-on activities, as well as observe artists at work. Children can also participate in 2-hour long workshops at Pompidou. The workshops explore various artistic styles and use a variety of materials, all of which have been inspired by the work showcased within the museum. Parents with an eye for art can explore the museum themselves while the children get creative at these workshops. The experience at Pompidou is the perfect opportunity for families involved in a France travel vacation who are interested in incorporating art without risk of boring the children. Timings of these art classes are strictly limited. Therefore, it is best to plan in advance. Visits to Louis XIV's palace at Versailles and the Musee d'Orsay have been livened up for children to enjoy just as much as their parents. At Versailles, special family guides take the groups around the grounds. These guides provide interesting information and amusing anecdotes to keep the children entertained. They also encourage kids to interact and become involved by asking them engaging questions. Due to the size of the grounds and the vast history encompassed within the palace, children are offered a number of tour options. Each option offers varying degrees of depth on a specific topic, such as "myths and legends," to be explored on the tour.At the Musee d'Orsay, organizers have also employed methods in order to engage children. The museum offers regular family trips. Each trip offers a theme, ranging from the performing arts, to games of snakes and ladders, to animals. Guides make the information accessible to children through clear and understandable language, as well as through a variety of games. At the same time, children are encouraged to learn while engaged in these games. For example, while playing a large game of snakes and ladders, children land on squares and learn about an exhibit housed in the museum. The Musee d'Orsay family trips only take place on weekends and they are intended for children between the ages of 5 and 10. Due to the irregularity of timings, parents are advised to book in advance or to make sure tours are taking place on specific days. These few examples are just a sampling of France travel museum opportunities for families. There are many more spread throughout the nation. Each is packed with activities and interesting exhibits ready for families to explore and enjoy.